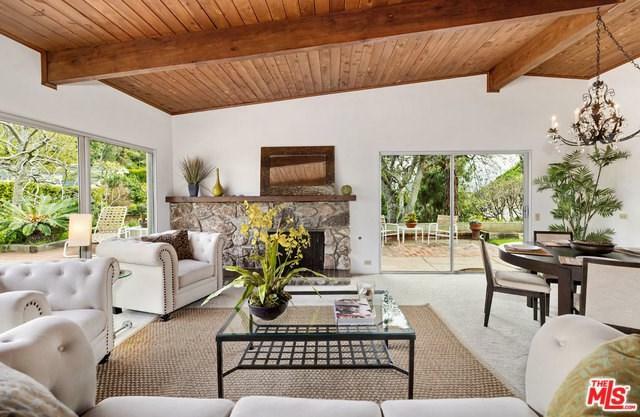 Rare opportunity - vintage Mid-Century Post & Beam home, originally built in 1972. Abundant walls of windows + views of lush green hillsides. Iconic wood ceilings throughout. Ready to live in now or enhance in the future. 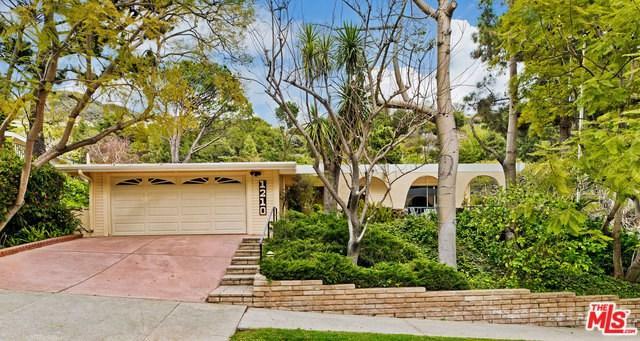 Lovingly maintained by one family who customized the original 3 br/2 ba floor plan into a 2 br+den house. Could easily be returned to 3 bedrooms. Kitchen and breakfast area open out to a patio encircled by a canopy of trees. The living room + dining area enjoy a quintessential indoor-outdoor experience through walls of glass to surrounding patios + gardens. Fresh paint, fresh carpet, central air/heat. NO STEPS FROM GARAGE TO HOUSE TO PATIOS. Hall bath has elegant walk-in shower. MBR is exceptionally large w/en suite bath + dual closets. It's a dream life, perched above the street, enveloped by a wide collection of colorful trees and flowering shrubs. Great value, coveted neighborhood, close to Beach, hiking trails, the Village. Come relax in the peaceful ambiance.